Lizzy and Pat had a lovely summer wedding at Red Cliff Ranch in Heber, Utah. They live in Vancouver, British Columbia, but decided to return to Lizzy's home state of Utah for their nuptials. Red Cliff Ranch is located up the scenic Lake Creek Canyon in Heber Valley. It is a thirty minute drive from Park City. 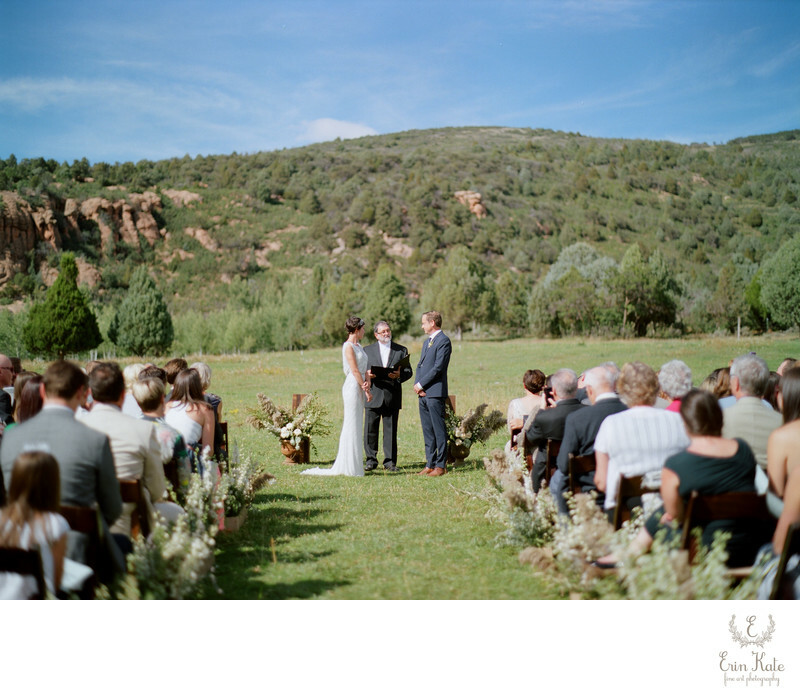 The ranch is one of my favorite places to photograph weddings. I love spending time walking the grounds with my couples and photographing them in a relaxed setting. There are so many areas for talking pictures...a lovely field with red rocks towering in the background, a meadow with a view of the pond and Mount Timpanogos, aspen groves sprinkled around the property, a tiny cabin nestled against the hill, a long dirt road flanked by trees...the list goes on. One of my favorite things about Red Cliff Ranch are the animals that call it home. Horses and cows roam the pastures. Goats spend their time ear the stable. And the donkeys love getting attention from wedding guests. I'm a bit partial to Mr. Burrito because he always seems to sneak his way in front of my camera. One of my favorite moments was when Mr. Burrito announced Lizzy's arrival as she walked down the aisle. It was an entrance to remember!